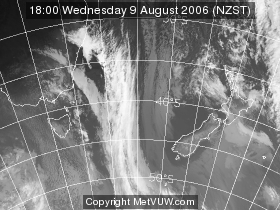 'District 9 over Masterton? 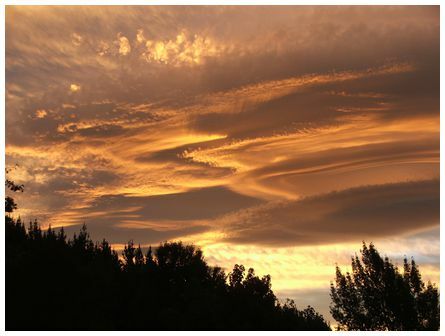 A spectacular end to a neighbourhood sundowner at Bennett's Hill, 8km east of Masterton. This shot taken looking west towards the Tararua ranges while this spaceship cloud seemed to hover and command the sky over the Wairarapa. No reports of any landings so far. Taken 20:30 on 28 January 2011' wrote Stan. 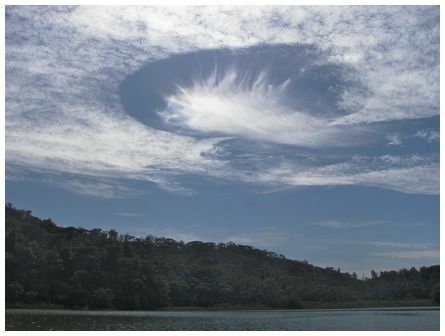 'Photograph taken looking south, while kayaking on Kawhia Harbour near Te Waitere at 10:05 on 4 January 2011. Glorious, still morning. My daughter Kelly thought this cloud looked like a giant jellyfish viewed from underneath. Camera: Olympus 1050 SW. Love the photos each morning when I check out the weather' wrote Dennis. 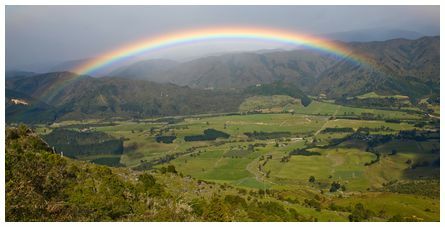 'Visitors to Golden Bay on 31 January 2011 had the promise of a 'crock of gold' as they came over Takaka Hill to see a brilliant rainbow over the Bay below. The bow was long lasting and resulted in tens of cars pulling up while their drivers and passengers got snapping one of nature's great displays. Some areas of Golden Bay had just endured a night of ferocious wind with rain while on the Nelson side of Takaka Hill although windy, the new day brought blue skies and sunshine. 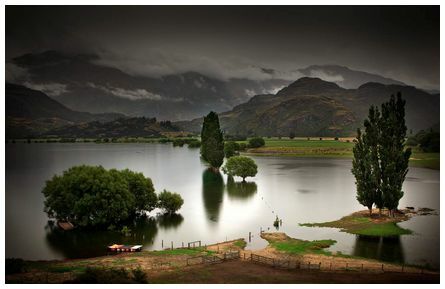 Photo details: Canon 5D camera, 28mm lens, f 8 at 1/500 sec ISO 200, taken at 10:09 on 31 January 2011 from Takaka Hill' wrote Don. 'New Year's Day in Scotland. 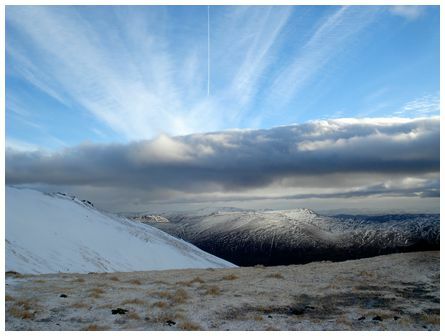 Looking south east from the slopes of the Ben Lawers mountain range. A lot of the snow we had earlier in December had melted although what was left was quite hard. Definitely a day for using the crampons, but we did bump into some clearly enthusiastic ski mountaineers on the summit! Photograph taken at 13:00 on 1 January 2011' wrote Anne Marie. 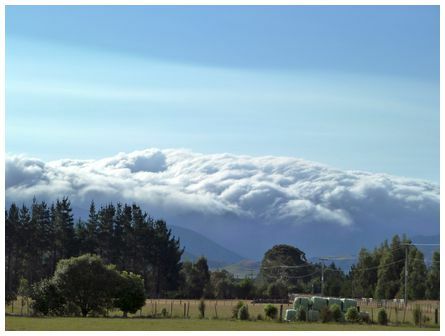 'Cloud pouring over the Tararuas. Taken from Chester Road between Carterton and Masterton. Taken on 3 February 2011 with a Panasonic TZ10' wrote June. 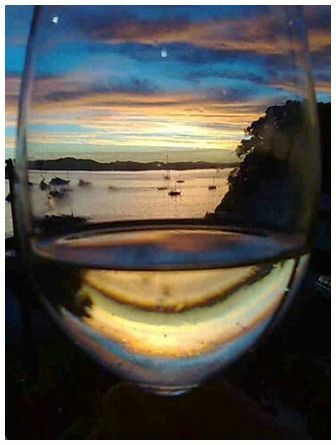 'Sunset at Russell, Bay of Islands, the night before Cyclone Wilma struck Northland. Taken at 19:30 on 28 January 2011.' wrote Judy.